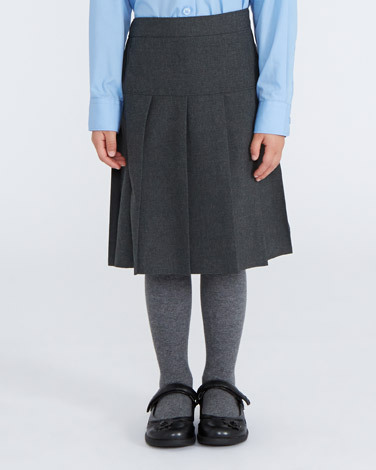 This girls school skirt offers both great value and a multitude of practical features to allow both kids and parents get the most out of their day. Incorporating complete stain control technology designed to repel water and oil, stain release and crease resistant fabric to ensure that maintenance is a breeze, an adjustable waist also gives room for comfort and growth. An essential for any school girl’s uniform, this skirt offers comfort, style and functionality.